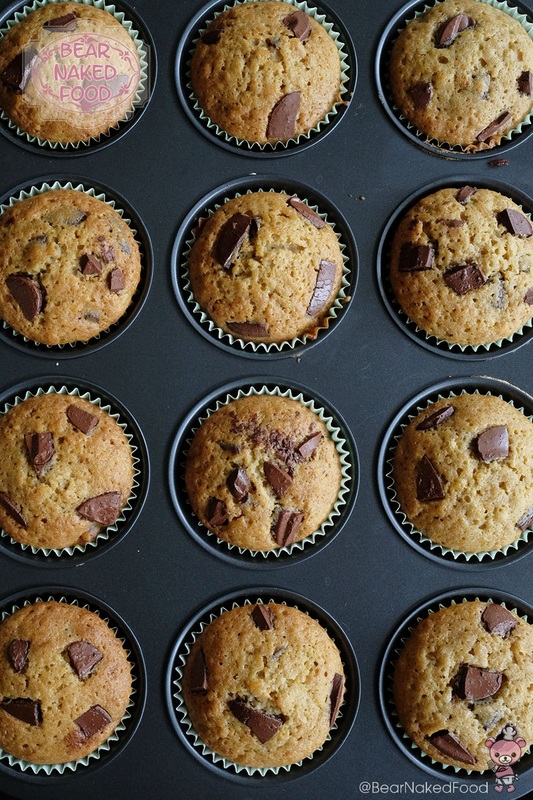 Muffins are really just cakes baked in small cups and they appeal to almost everyone. 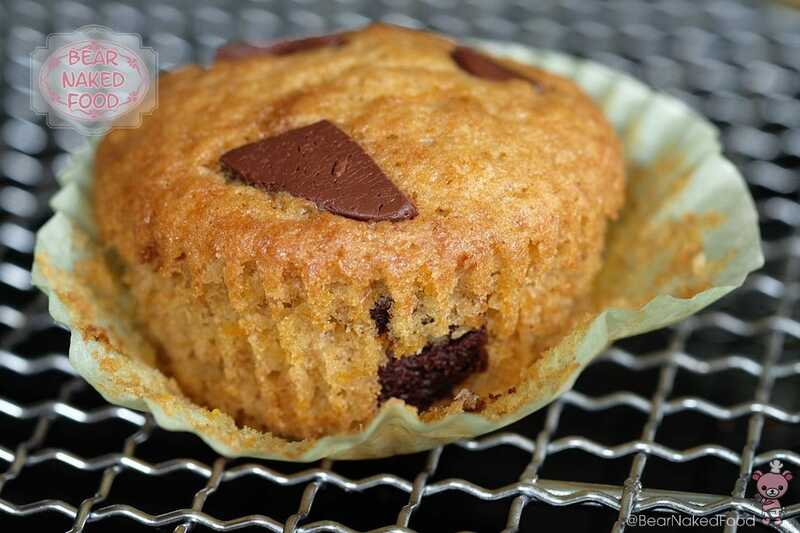 Today’s Sweet Potato Chocolate Chunk Muffin might sounds a little unusual yet, it is totally worth trying. 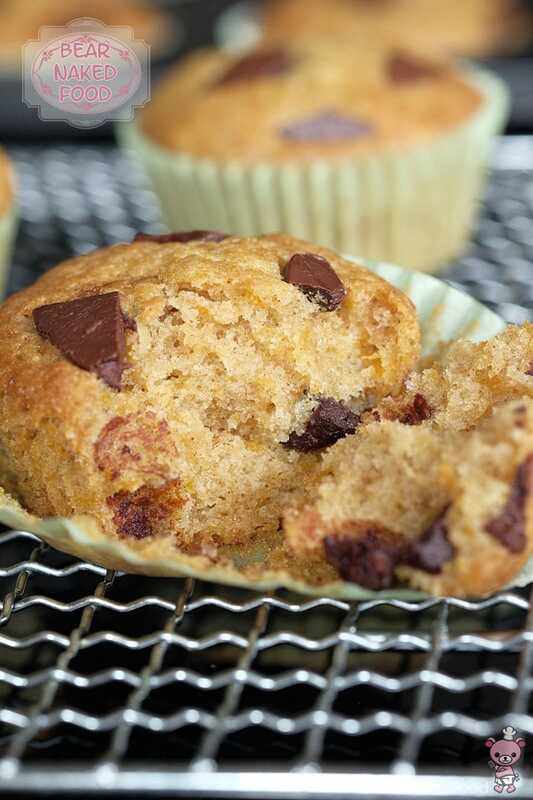 Who would have thought of marrying sweet potato and chocolate chunk in a muffin? 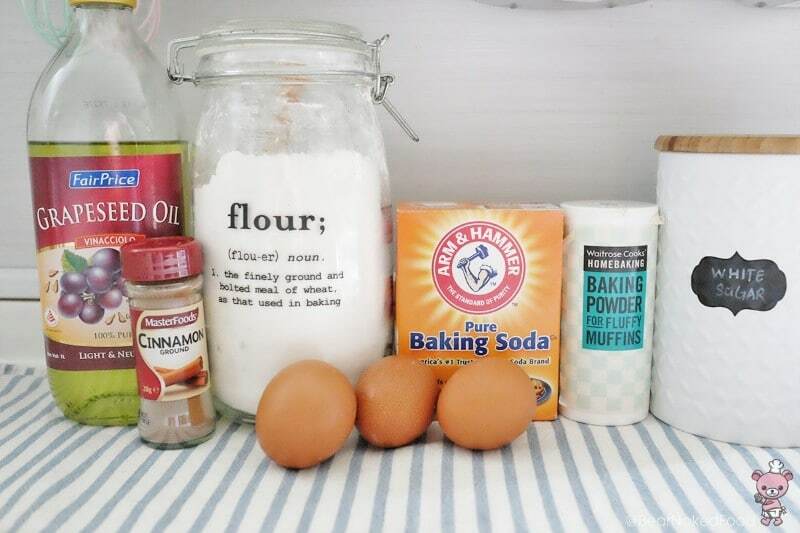 Well Martha Stewart did. 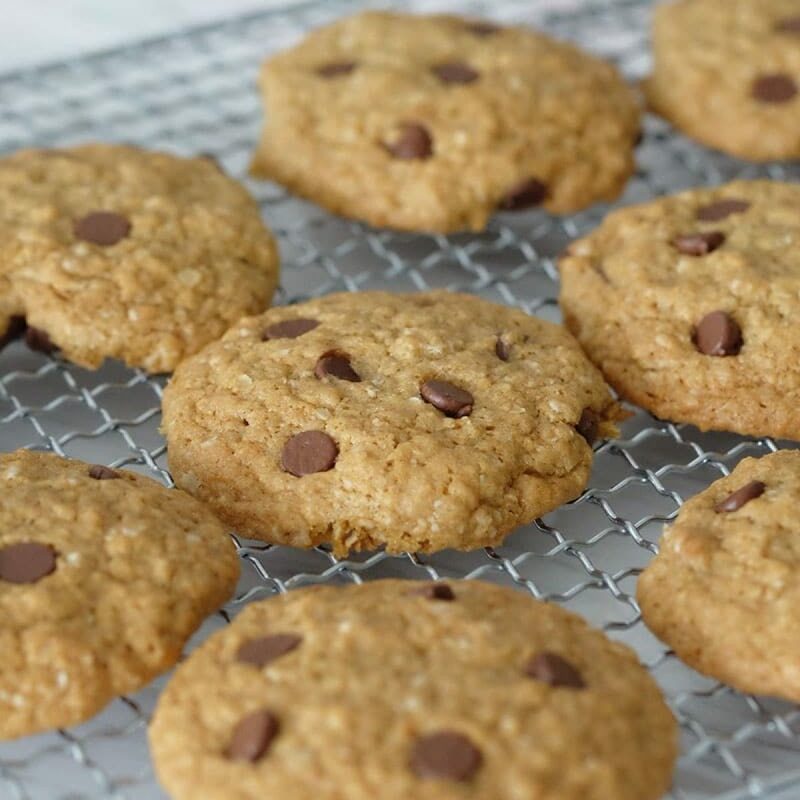 The original recipe calls for whole wheat flour which adds an additional nutty flavor and texture to the muffins but I use all-purpose flour instead. 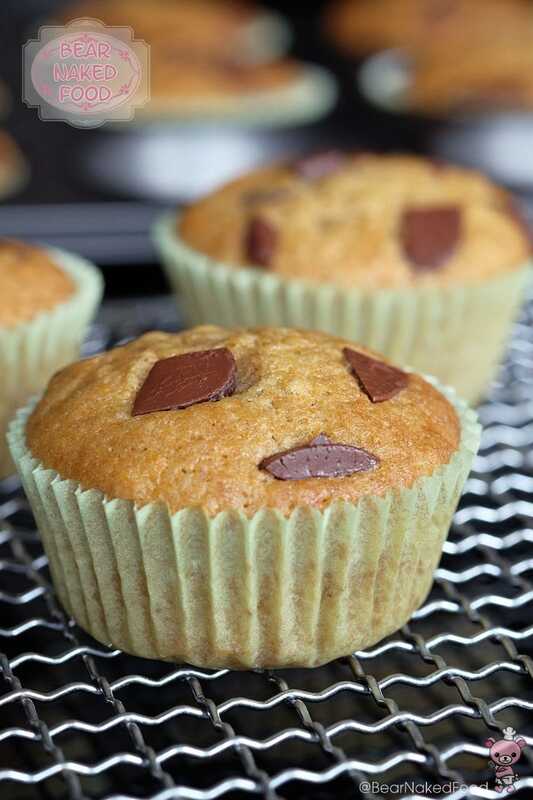 I highly recommend you use orange sweet potato as it not only gives a nice orangey hue to the muffins, it has a high moisture content which provide additional moistness. 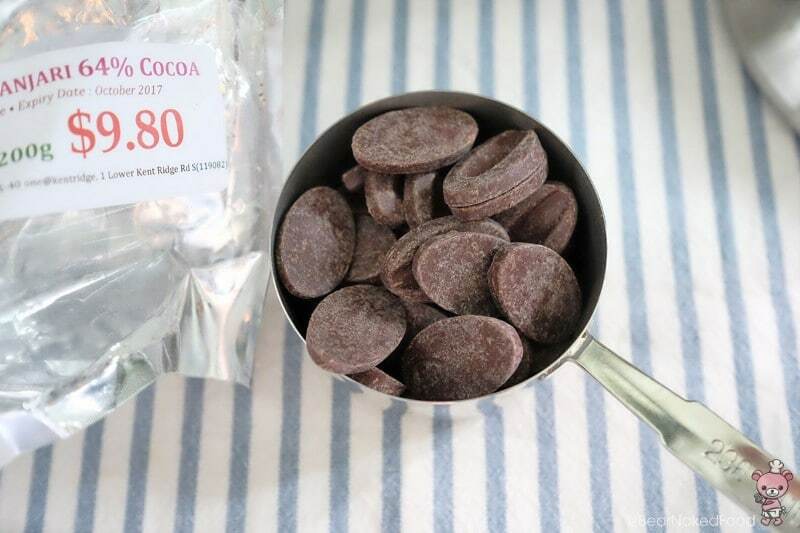 If you are not a fan of bittersweet chocolate, go ahead and substitute with semi-sweet (55%) chocolate and remove 2 tablespoon of sugar from the stated amount. 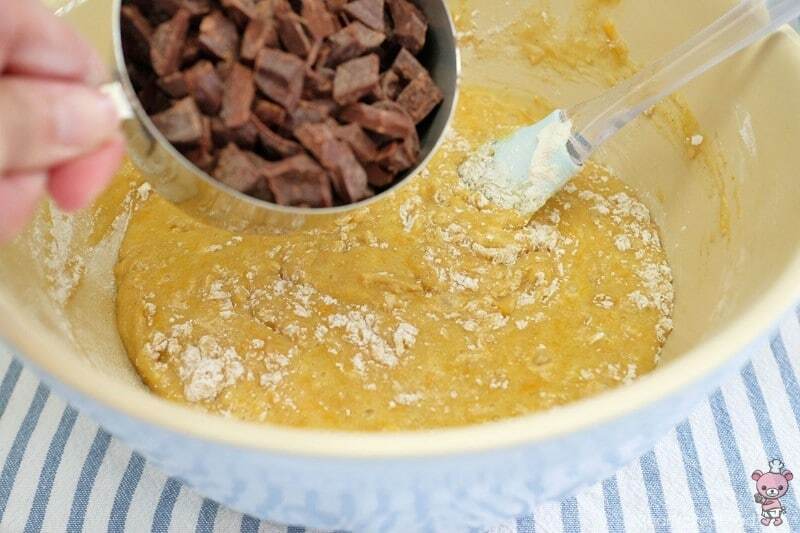 I’m using Valrhona 64% chocolate. 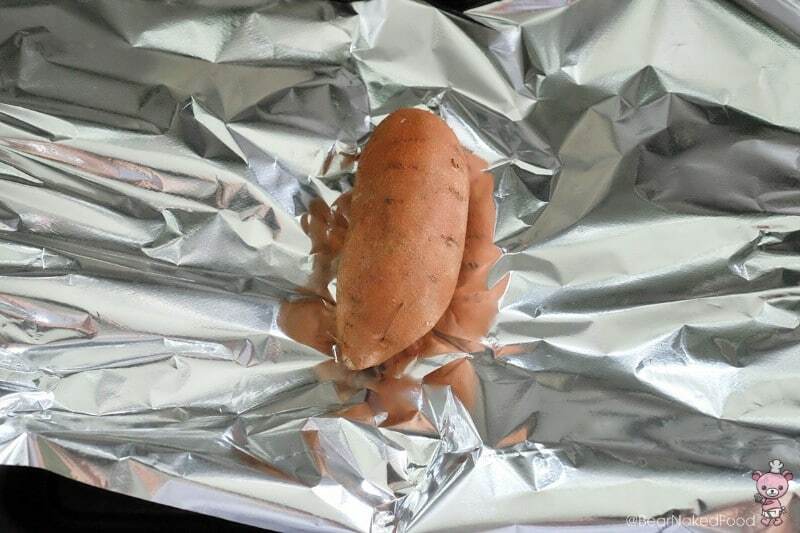 Wrap the sweet potato with aluminum foil and bake for 55 – 60 mins, until soft. 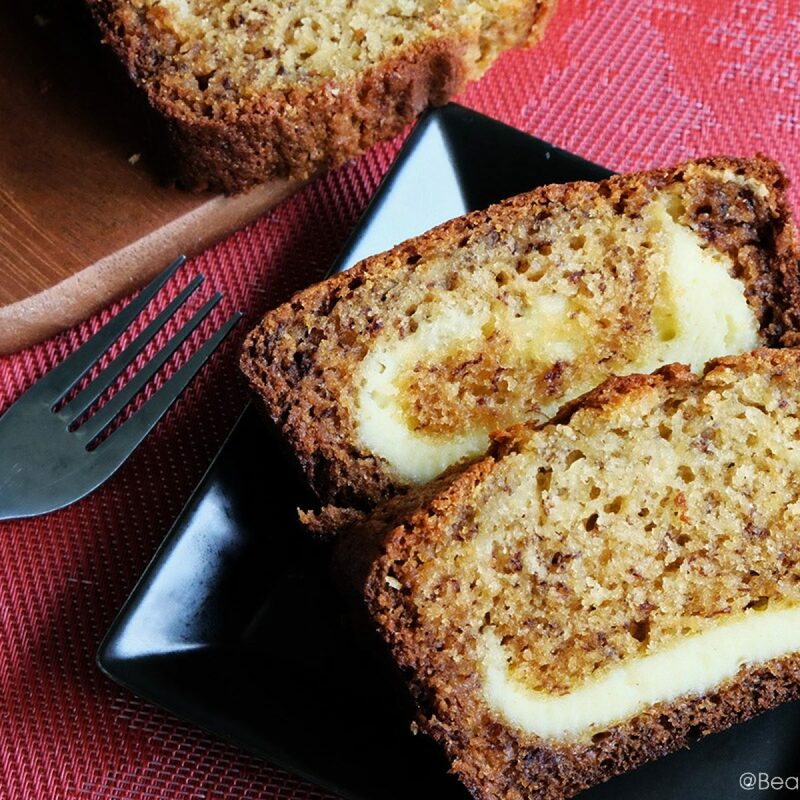 Set aside to cool before peeling and mashing it. 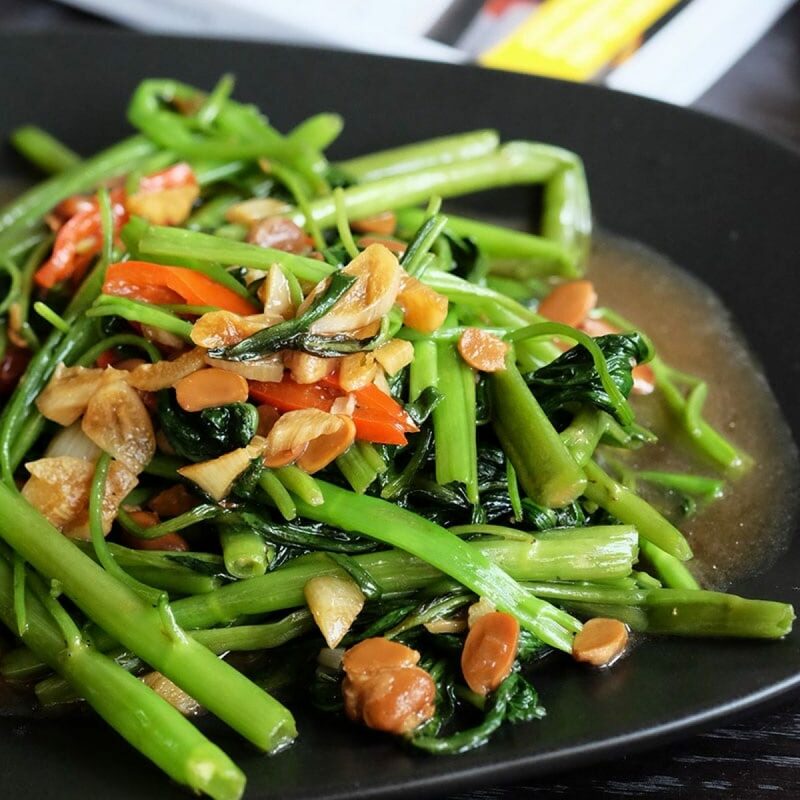 Lower the oven temperature to 175°C/340°F. 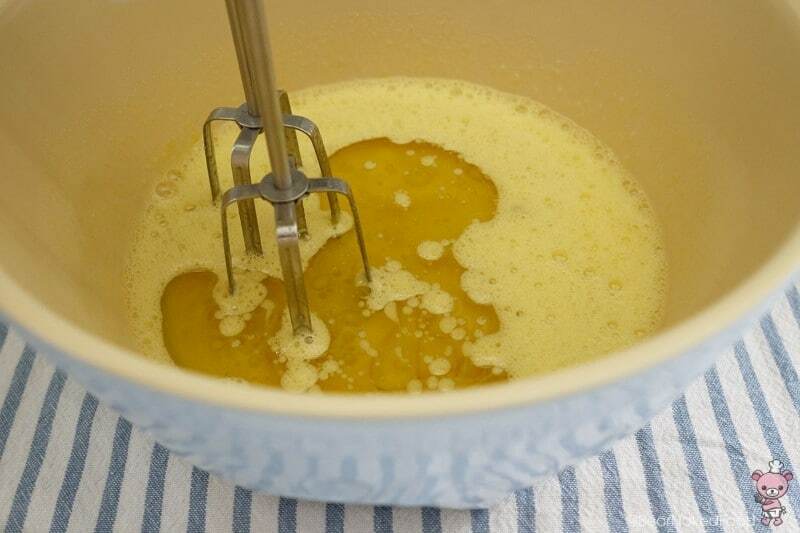 In a medium bowl, add the dry ingredients together and mix well with a balloon whisk. 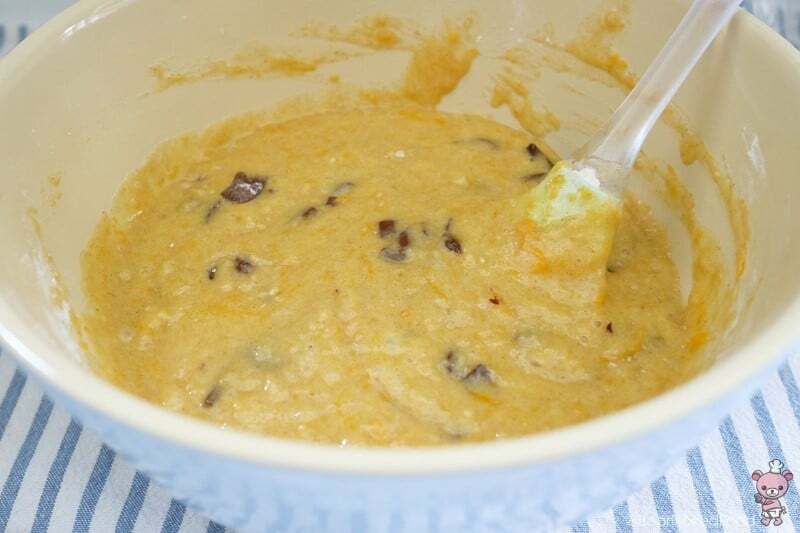 In a large bowl, mix together the wet ingredients except the mashed sweet potato together. 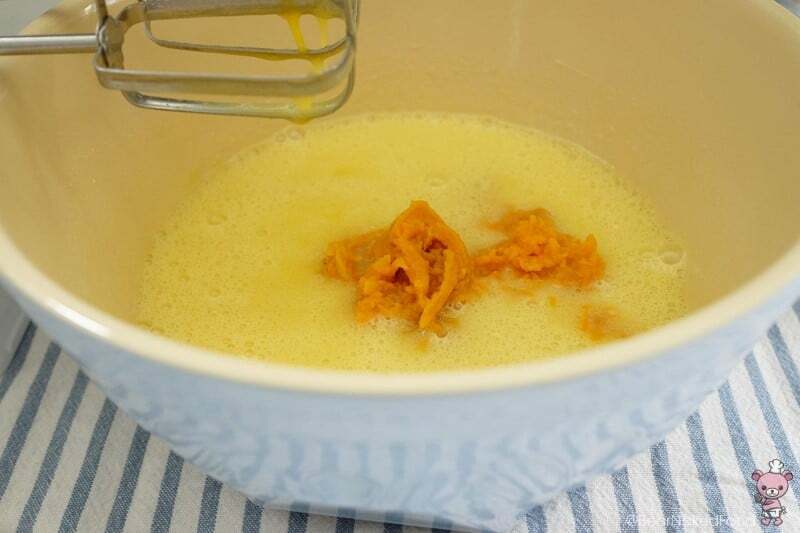 Add in mashed potato and mix until combined. 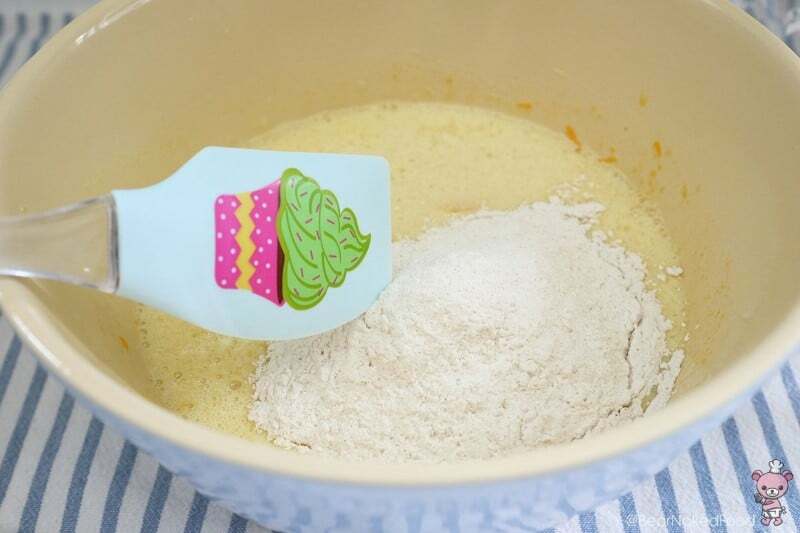 Add ½ of the dry mixture to the wet mixture and fold with a spatula until the flour just disappear. 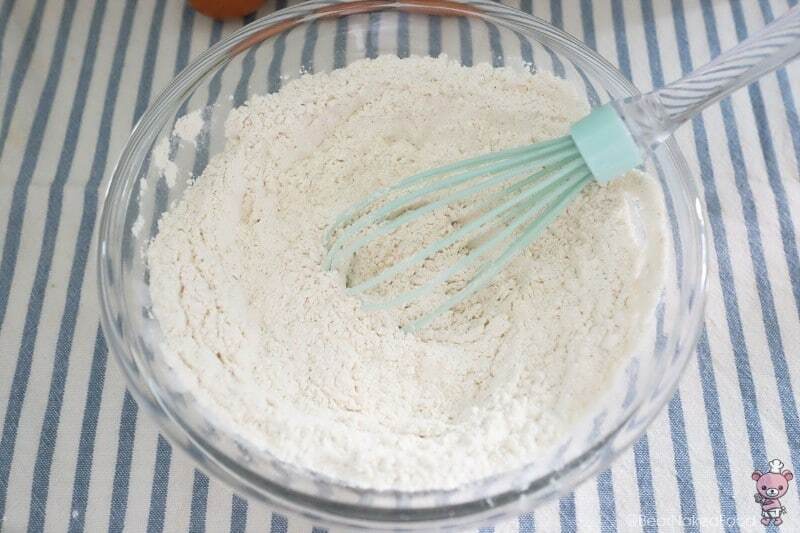 Add in the remaining flour and repeat. 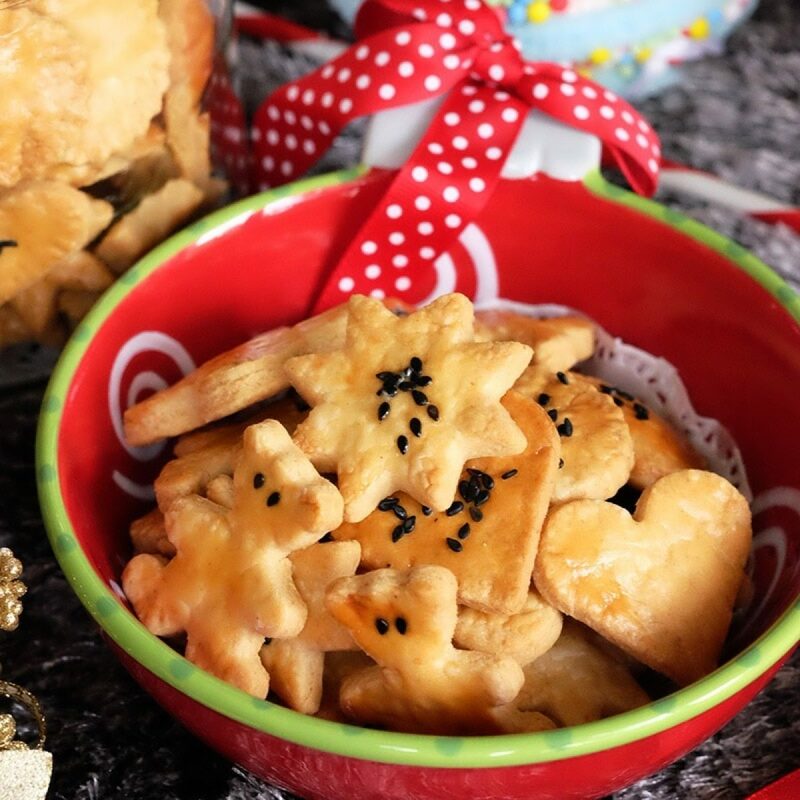 Lastly fold in ¾ of the chopped chocolate, leaving some for garnishing. 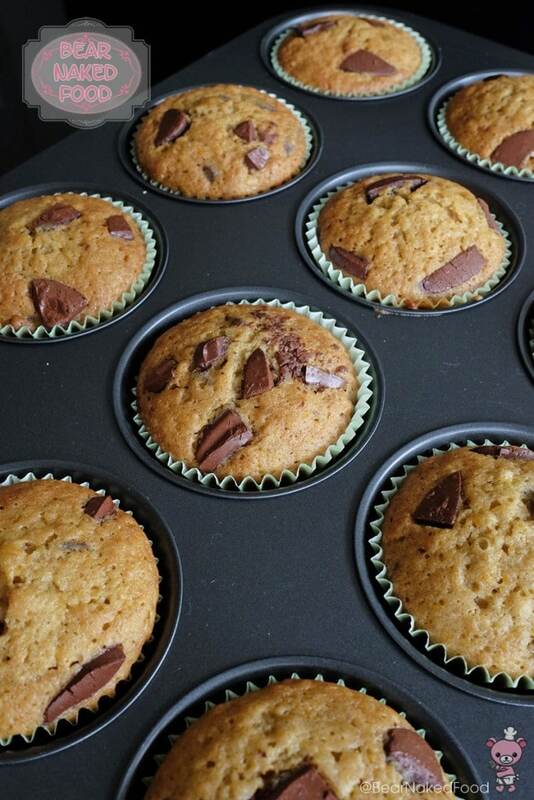 Do not overmix the batter or the muffins will be dense and tough. 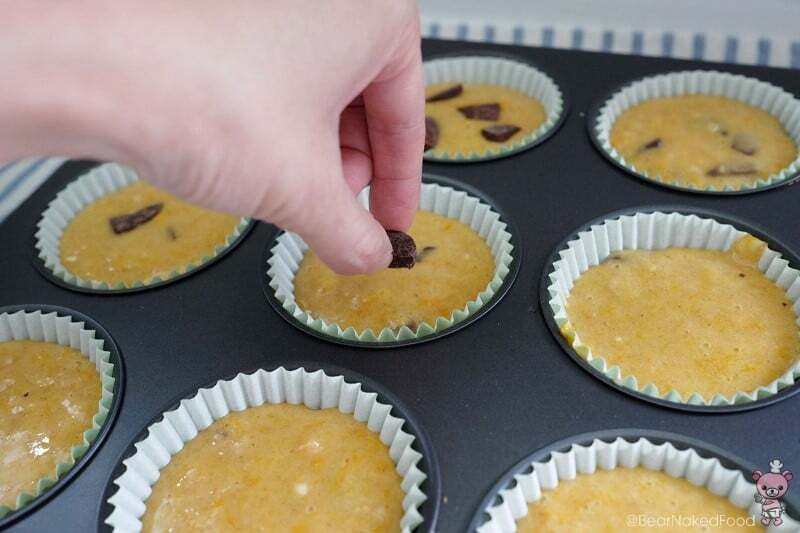 Divide the batter into a 12-cup muffin tray lined with muffin cups. 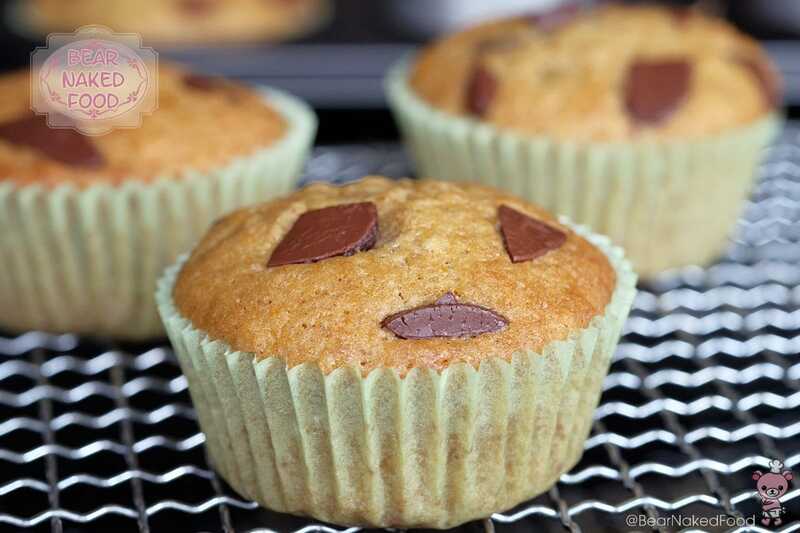 Garnish the top of each muffin with the remaining chopped chocolate. 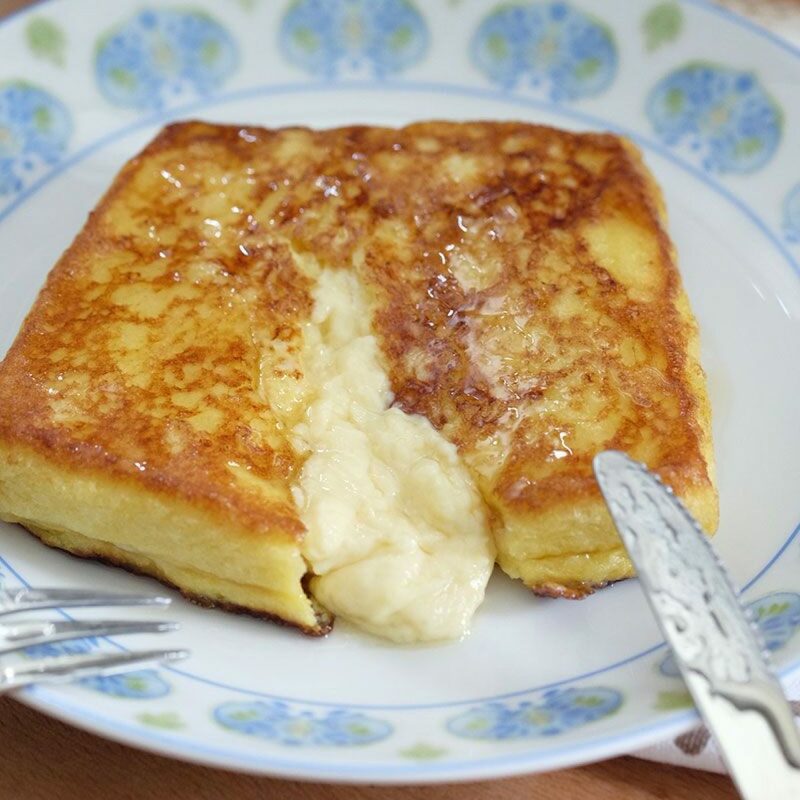 Bake for 22 – 24 mins, until top is golden brown and top springs back lightly when touched. 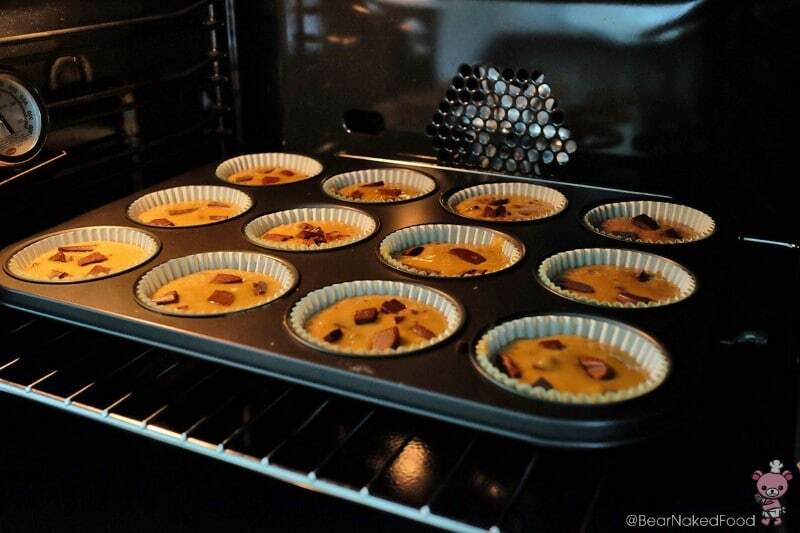 Remove from oven and allow to cool in tin for 10 mins before transferring the muffins onto a cooling rack. 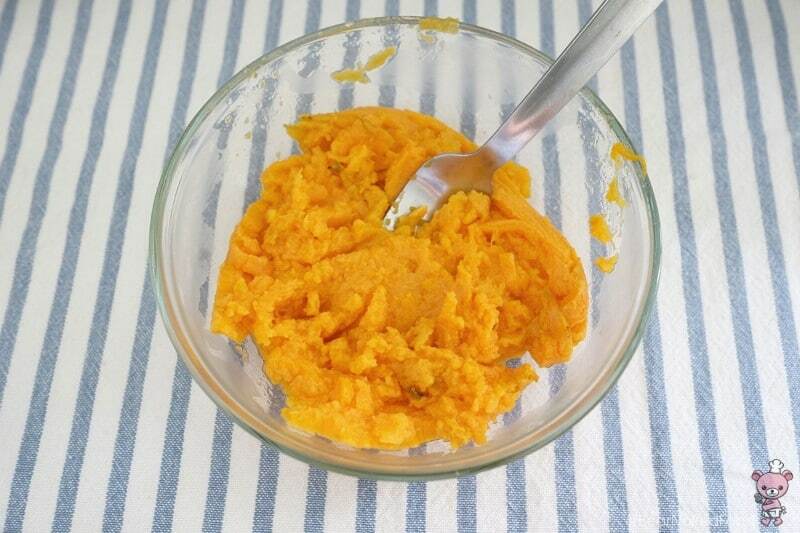 In a large bowl, mix together the wet ingredients and mashed sweet potato together.